The silver-level plan is designed for the athlete who wants to ratchet up their level of training and has specific training goals in mind. At the silver level we offer you more input, interaction, and communication with your coach, resulting in a more concise and focused program. Your coach will custom design a training plan and get you ready for your next big event or race. The monthly charge for silver-level coaching is $249. Your first payment will include a 1 time start-up fee of $99 and your first month’s coaching fee. 100% happy – I’m really happy, and my rate is 5 stars, each person who attended me were thoughtful, gave me accurate information. I am 100% happy with coach services. I wanted to give a shout out for the great coaching I’ve been getting from Sam. I’m a 55 year old cyclist with mountain bike and cyclocross racing experience. In my first year with Peaks Coaching, Sam helped me get my mountain bike racing back to a competitive state, and he coached me to a real break out CX season, taking me from mid/back of the pack to a regular podium finisher in the Mid-Atlantic region. I had an unfortunate injury, literally on the eve of the season finale, and Sam helped me through emotional and fitness recovery so that I was running on all cylinders for the next season. Sam gives me a good healthy combination of push, encouragement, reality check, aspiration, and inspiration. It makes training, racing, and living a blast. I had NO idea what REAL training was till I started. I bought several books but never reach this level. My Coach is allowing me to go further than I would have ever thought. I never thought my body could do some things and the goal was to find out how far we can take this 50 year old body…So far so good. My Coach balances well with my personality. I constantly try to push harder (that’s what’s hindered me….no rest) and he keeps me at a slower, sustainable growth rate. I’M A VERY SATISFIED CUSTOMER! I am totally satisfied with James (Schaefer) and find him a lovely man to deal with. I have more than achieved what I set out to do in this short period and look forward to my road ahead. I was previously with A1 Coaching and left them due to lack of feedback and my results. I am way ahead of where I was and I have local friend here on A1 and now I am ahead of them in fitness as I compete against them. I have been so impressed with the level of coaching provided by Gordy (Paulson). He takes the time to review my notes and always has a suggestion based on what I write. My expectations have been more than satisfied. This is by far the best cycling shape, form and experience I have ever had. My Coach is the main reason as, he took this old 50 year and made him believe, train, enjoy, race and PERFORM!!! Yes, training was hard, but absolutely worth every penny. I got what I asked for. I told Peaks Training I wanted results not a cheerleader and it’s clearly working with big gains in FTP 2 yrs. after winning a masters championship. I thought I was topped out at 57 years old, but my coach has relentlessly kept my feet to the fire and drivin me harder……… what I had asked for! I like his no BS approach. Service has been great at every level. The workouts I’m doing now are much more varied and purposeful compared to when I was self training. All communications with David (Ertl) have been very positive. I get prompt useful feedback on workouts and knowing this encourages me to get them done. I am very pleased with the progress I have made in the relatively short time I have been using PCG. In terms of value for money getting a good coach is probably the best investment I’ve made, I just regret not doing it sooner. Excellent, I cannot compliment BJ enough. He makes feedback comments on my comments and share far more things with me than i expected. He is able to delve in to many years of experience and has no issue sharing these with me. I really enjoy working with him. “I am finding that this relationship is a perfect match in terms of what I put in I get x 4 back. BJ is one of those rare people that use stories to relay experiences. By doing this it engages me and I feel part of those experiences. 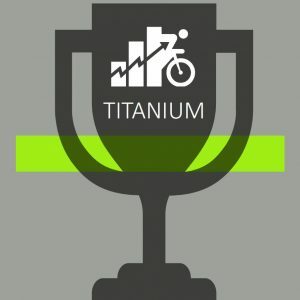 The titanium plan is the pinnacle of our plans! If nothing but the best is for you, then this is your plan. Unlimited calls, emails, and training plan revisions allow you access to your coach whenever you need him or her. This personal attention will give you the inside edge on the competition and take you to the top of the podium! The gold-level plan is designed for serious athletes who want to challenge themselves. At this level of coaching the communication is what will really make the difference between finishing with the pack and standing on the podium. Your plan will be carefully designed around your personal power and fatigue profile to give you that extra advantage. The platinum plan is for focused athletes who want a top-notch coach they can communicate with regularly throughout the month. 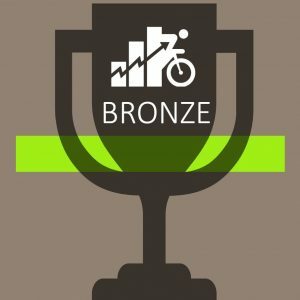 The platinum level provides a coach who will analyze your power and fatigue profile, review your strengths and weaknesses, and design a custom training plan that will allow you to make the break and move to the next level! Are you aiming for your first big event or want to step up your training? Our bronze-level coaching can get you started. Your monthly plan will be built around your schedule, fitness level, and goals, and it will be available online for your review at any time. This customized plan will help you get to the peak of your fitness just in time for your big race or event!